New South Classics designs historically correct houses. Historically correct details define a house and make it correct for a particular place or time. As with doors, the selection of the correct window for your house, can make the difference between an authentic house design and one that simply claims to be from a particular period or style. Windows come in all shapes, sizes, styles, materials and color choices. Perhaps even more importantly, windows also are manufactured very differently depending on the source. Other than the roof, perhaps no other component of residential design says more about the style of the house and does more to protect the occupants from the elements than the windows. Therefore, when selecting windows, one must determine if the window style is appropriate or “true” to the style of home being designed and if the window manufacturer has adequately addressed the durability of the window for the conditions it will be subjected to. While it is important to pay particular attention to correct proportions for the style and period home you have selected, other factors are equally important. The designer, contractor and owner should ensure that the right window is installed correctly. The best window installed incorrectly, won’t do much good if water and air penetrate the window assembly or the wall in which it is mounted. Intended use, durability, finish and appropriateness of style have a lot to do with the species of wood the window is constructed from. New technology creating rot resistant products for the most severe weather conditions makes it possible for some windows to withstand rotting and related damage for longer periods. Manufacturers offer a broad range of wood species and finishes from unfinished, to factory finished, primed, painted, stained and clad which is seen as a prerequisite for high end custom homes. This blog will give some opinions regarding what you should be looking for when it comes to window selection for your Old World home and suggest a number of sources for researching more detailed information and products. It is not intended to replace the manufacturer’s written instructions or address all possible conditions. It is merely intended to make you aware of what you need to ask when you work with your architect or contractor and when you think about what windows may be right for your house. Finally, the style of hardware you choose will speak of the period home you are designing. The right, period hardware will add that special touch, creating an “authentic” window design for the Old World style home you are building. We hope this information will help to get you familiar with window styles, window construction, installation, and hardware and prepare you to ask the right questions before selecting your windows. You will find links to appropriate sites where you can get additional technical advice and find windows you may want to consider. We are not endorsing the companies featured here, but want to provide a selection to get you started. We will start by addressing window style. As with doors, window design should be consistent with the style of house you are designing. Whether your house is Arts and Crafts, French Country, English Cottage, Italian, or one of the American classics, there is a window appropriate to that style. Many manufacturers offer styles appropriate to each….some better than others. Regional differences will be recognized by the overall composition and how the window unifies the style through basic proportions, unity and hierarchy, or implied importance of each window to the spaces in the house. It is important to recognize the historical precedent using proportions and profiles based on traditional window design and construction techniques. In short, traditional windows may be categorized as sash (double hung), segmented arch (popular in French country design, arched, casement (in-swing or out swing), round or eliptical, lancet (pointed arch) and Paladian, bowed and bay to name a few. Then there are many variations of each such as tilt-in, swing -in, swing out, etc. Proportional differences are extremely important if design is to be authentic to a particular time and part of the world. Research material found on our blog post “Getting Familiar With an Authentic Classic Style” may help you understand how windows vary between various “Old World” Styles. Historically accurate styles differ predominately with respect to shape, method of operation and how the glass is articulated or arranged. Glass ,or glazing, patterns and bead profiles can vary dramatically and in some cases very subtly. Glazing refers to the glass which is available in every imaginable way from single, glazed panels with common mullions, to multiple “light patterns” created with a “multiple glazing bead” referred to as “true divided lights” (ADL) or “simulated” divided lights (SDL) with snap or glued in grille inside, or profiled grille on inside and out. Grilles can also be set between the the panes of insulating glass. Virtually any glass pattern option is available to obtain the desired look. The width and number of dividing bars or “muntins” that make up the divided lights determines the desired look. Custom light patterns are available and some windows styles call for a combination of patterns mentioned above. The diamond pattern casement with finely crafted glass like the example to the right by Kolby Windows and Doors is frequently seen in “Old World” design and has the look of authentic leaded glass. Glazing options are typically available single glazed, insulated, laminated, Low E, restoration, art glass, and safety glass. The dividers or “beads” between the glass are available in many profiles and widths depending on the style preferred. The wood trim or “casing” around the window on the inside and outside is also available in virtually any size and profile. 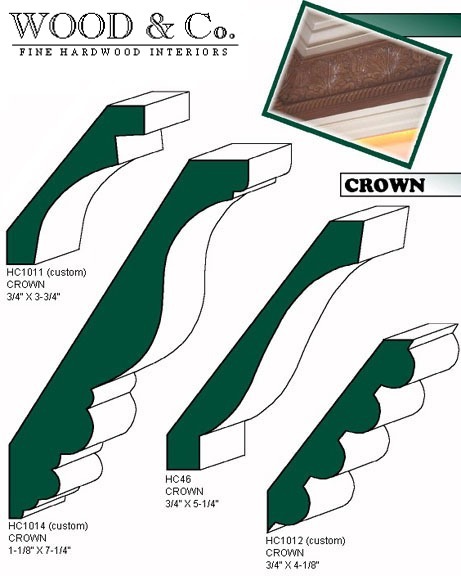 Some residential styles call for wide casing, others narrow and still others require no casing but rather a trim or “brick mold” for use with masonry walls as shown here. One of the better guides I’ve found on window design basics for traditional American homes is “Get Your House Right” by Marianne Cusato & Ben Pentreath, Sterling, New York / London. It explains in detail what window design to use for traditional homes and what to avoid through detailed drawings and commentary. Details make the difference and details are what separate styles from one another as well as what create similarities between regions or countries. The French Country style is characterized by the classic French window with tall, narrow panels of divided lights and narrow muntins such as shown here on this home in the Loire Valley of France. Notice how the shutters are hinged to fold back on themselves when not in use. Often, interior shutters will do the same and are commonly seen in French and Italian residential design. These windows can be flat topped or radius topped as shown on the windows in the dining room of this French Chateau, below. Typically they are set back to allow room for exterior folding shutters or set out flush to allow for interior folding shutters. This was made practical because of the thickness of typical wall construction. A prominent room such as one in the main living area or significant bedroom often has such tall windows indicating its importance in the house and allowing for maximum light and air. Window panes may be large or small depending on desired look. The use of the double hung window is seldom seen in France, while it is more common in American and often in English residential design. Casement windows are commonly seen in both France and England as with this French home to the right. The size of glazing may vary depending on the size of the window. Often, true “Old World” casements fold in against pockets created by thick walls and they may be full height, resembling doors. Hence, the term “French door” or French window as the windows often came to the floor and resembled doors. In England, windows are often “leaded glass” in rectangular or diamond patterns. Similar styled windows are often seen in Arts and Crafts styles as they have an English heritage. Fan lights above entry doors are often seen in formal English homes and have a counterpart in French design as well. The use of ornate windows is limited to larger, more formal homes in urban settings in both countries. English design differs from French in several areas. The typical English Country cottage is simpler in many ways from its French counter part including window design and ornamentation. The use of shutters is fairly common in French residential design, whereas English homes rarely have shutters. As with windows on any house, the proportions of shutter relative to the window opening is an important design element. Shutters, if operable or not, should be proportioned to fit in the rough opening. Shutters that are oversized or undersized appear to be fake and distract from the authentic look you want to achieve. Similarly, the radius of shutters for arched windows should exactly match the radius of the window rough opening. If not, the shape of the window and shutter conflict and appear artificial. Traditional Charleston homes typically incorporate shutters on virtually every window to provide shade as well as protect against the strong hurricane winds as seen in the photo below. Quality, traditional shutters are available in wood or PVC with steel reinforcing. Exterior shutter options include raised panel, recessed panel, flat panel, fixed louver, Bermuda, board and batten, and custom. Again, details make the difference. Look for historically correct hardware that simulates or allows for operable shutters. As can be seen with these shutters that are segmented to wrap around the window opening and also close to provide complete protection of the window, anything is possible in shutter design. Here, clever design along with proper proportions add detail and interest while still being functional. The operable shutter adds an architectural quality that lends to the authenticity of the period design of this classical home. The shutter is in two vertical pieces hinged together. It opens against the depth of the wall and folds back against the exterior creating a narrower profile easily fitting on the balcony. Borrowing from the English and the French, homes in Charleston, South Carolina and other lower coastal areas of the United States frequently incorporate the double hung window, and shutter. Entrances are often flanked with side-lights and delicate fan lights above the front door. Our discussion of windows would not be complete without taking notice of dormer windows. Dormers come in all shapes and sizes, yet, here again, dormers vary from country to country and design period to design period. As seen above, French dormers can be a full dormer on the roof, an engaged dormer that is partially above the roof. The roof can be barrel-vaulted, hipped, shed or gabled. The house to the right and below are examples of engaged dormers. Each indicates a hierarchy of importance and, or, serves a specific purpose for the interior space which it serves. Gabled dormers on French country homes are usually simple and often found on houses with roofs with a gabled end. Windows on gabled or hipped dormers may be flat top or arched, and typically have a casement window with authentic divided lights as seen on the house to the left. Some are shuttered if the shutters have room to fold back the depth of the wall to be authentic. The English cottage typically has simple dormers that have less slender proportions. They are usually hipped, flat or gabled with extended rafter tails and wide overhangs. Windows could be casement or double-hung. Again, size is based on the dormer’s purpose and importance. dormers may be single window dormers, and are sometimes multiple windows assembled together in the form of what is called a “shed dormer”. Shed dormers allow for more light and extend the usable floor area in the attic or second floor space into the dormer. Aside from shape alone, correct dormer placement is critical to the overall success of your design. See the New South Classics Blog for more sources for classic Old World Design. Perhaps most characteristic of our American Heritage in residential architecture is the early American home as designed by early settlers. Among other classic features of these homes is the dormer window. All good designers will tell you that there are rules for detailing, scale, proportion and placement of these features. Hips and gables and sheds were used but when used correctly they adhered to certain classic detailing, which can be the subject of another blog. This early Williamsburg house shows the importance of simplicity and proportions of even one dormer. Note the positioning and slender proportions characteristic of this period. Classic detailing and proportions of dormers can make the difference between an “authentic” look and a “sort of” period look of your Old World home. Whether you prefer a shed dormer, gable or hipped dormer, remember to also select the right glazing and muntin combination. The wrong shape is a dead give away that you understand the period or not. This slender Charleston dormer with its fully detailed cornice and properly raking cyma is suitable for a classical roof. Notice that the distance between the window head and cornice is minimized and the casing on either side of the window is narrow. Siding may either be horizontal as shown or slope parallel with the roof pitch. These details are all part of what make this dormer right for its period. Windows and doors by themselves can make bold statements about the periods they represent as seen in the examples above. These period styles have design elements that make up what we call the Classic Orders of Architecture. Fine craftsmanship reflects the timeless beauty and unmistakable authenticity of good period design. Added to the timless beauty of well designed windows, doors and surrounds, design elements such as columns, mouldings, keystones, and miscellaneous elements add character and help create a hierarchy of design importance. These classic design elements can be of wood, cast stone, copper and other materials. Whether castles or cathedrals, these elements create drama and add an element of elegance that traditional styling is noted for. Specialty dormers such as this copper French dormer take windows to a new level of design. Ornate, hand-crafted copper detailing duplicate architecturally correct proportions and period style. You are currently browsing the archives for the Building Materials category.